I'd like to say a huge thank you to the brilliant Richard Smith and everyone I met at Trafalgar Junior School on Thursday evening. 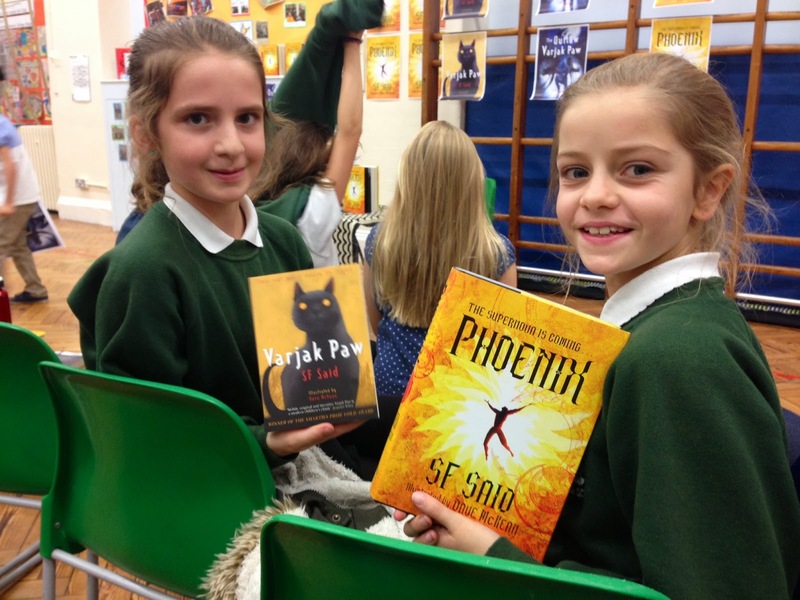 It was a very special occasion for me, because I visited the school back in 2005 – when my last book, The Outlaw Varjak Paw, was published. I had no idea then that it would take so long to write Phoenix! I'd particularly like to thank Ed and Jack for their introduction! 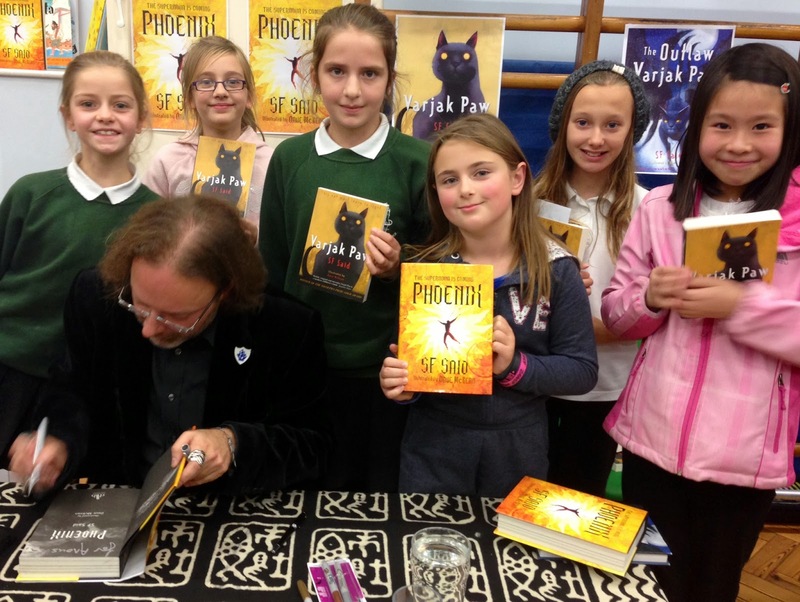 I really enjoyed meeting everyone, and hearing all your questions, and signing your books... Most of all, the school guest book, where I saw that some of my own favourite authors had visited recently: David Almond, Sally Gardner, Paul Stewart & Chris Riddell... I hope you enjoy my books as much as I enjoy theirs! Hi Louis! It's great to hear from you again, and thank you so much about Phoenix! I would love to visit your school, but I would need the school itself to invite me - could you maybe ask one of your teachers to get in touch with me to talk about it? There's a page on this site for author visits - if they leave me a comment & an email address, I'll get back to them... In the meantime, thanks so much again, it really means a lot!